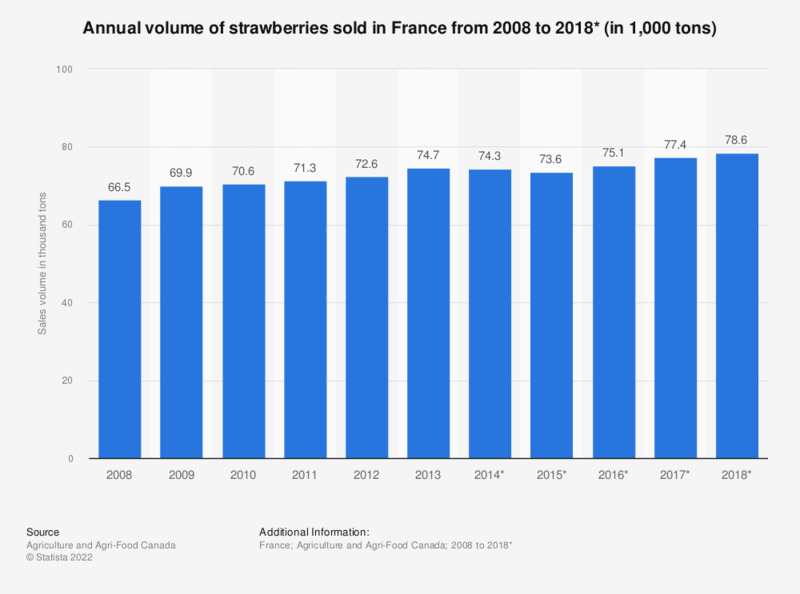 This statistic shows the sales volume of strawberries in France from 2008 to 2018. The sales volume of strawberries has gradually increased between 2008 and 2014, according to historic data. In 2018 the sales volume of strawberries is expected to reach 78.6 thousand tons.